Agricultural policies aimed at alleviating poverty in Africa could be making things worse, according to research by the University of East Anglia (UEA). Published this month in the journal World Development, the study finds that so-called ‘green revolution’ policies in Rwanda – claimed by the government, international donors and organisations such as the International Monetary Fund to be successful for the economy and in alleviating poverty – may be having very negative impacts on the poorest. One of the major strategies to reduce poverty in sub-Saharan Africa is through policies to increase and modernise agricultural production. Up to 90 per cent of people in some African countries are smallholder farmers reliant on agriculture, for whom agricultural innovation, such as using new seed varieties and cultivation techniques, holds potential benefit but also great risk. In the 1960s and 70s policies supporting new seeds for marketable crops, sold at guaranteed prices, helped many farmers and transformed economies in Asian countries. These became known as “green revolutions”. The new wave of green revolution policies in sub-Saharan Africa is supported by multinational companies and western donors, and is impacting the lives of tens, even hundreds of millions of smallholder farmers, according to the study’s lead author Dr Neil Dawson. The study reveals that only a relatively wealthy minority have been able to keep to enforced modernisation because the poorest farmers cannot afford the risk of taking out credit for the approved inputs, such as seeds and fertilizers. Their fears of harvesting nothing from new crops and the potential for the government to seize and reallocate their land means many choose to sell up instead. The findings tie in with recent debates about strategies to feed the world in the face of growing populations, for example the influence of wealthy donors such as the Gates Foundation, initiative’s such as the New Alliance for Food Security and Nutrition in pushing agricultural modernisation in Africa. There have also been debates about small versus large farms being best to combat hunger in Africa, while struggles to maintain local control over land and food production, for example among the Oromo people in Ethiopia, have been highlighted. Dr Dawson, a senior research associate in UEA’s School of International Development, said: “Similar results are emerging from other experiments in Africa. Agricultural development certainly has the potential to help these people, but instead these policies appear to be exacerbating landlessness and inequality for poorer rural inhabitants. “Many of these policies have been hailed as transformative development successes, yet that success is often claimed on the basis of weak evidence through inadequate impact assessments. And conditions facing African countries today are very different from those past successes in Asia some 40 years ago. 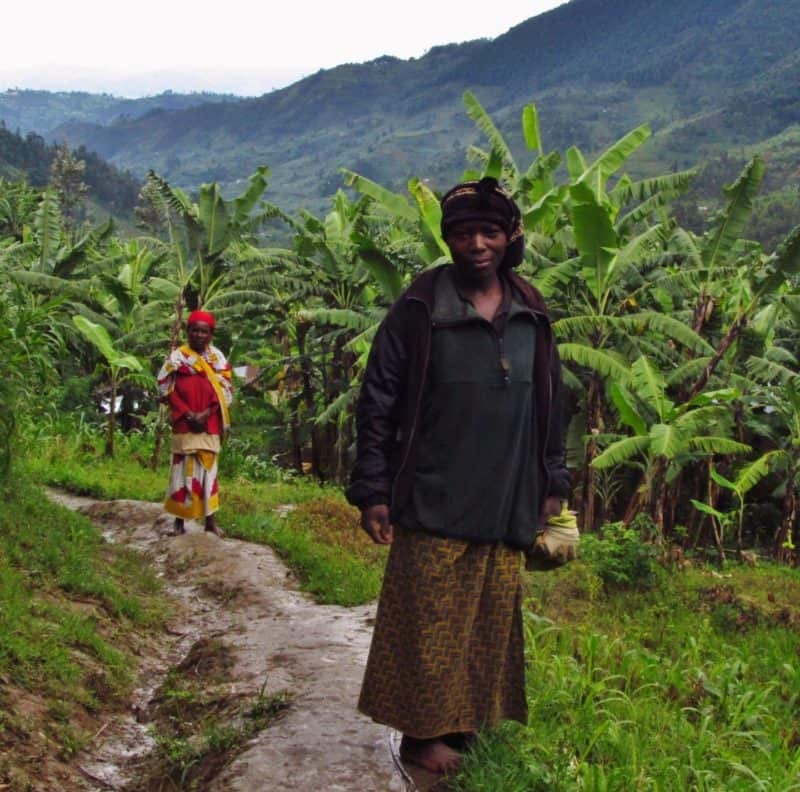 The research looked in-depth at Rwanda’s agricultural policies and the changes impacting the wellbeing of rural inhabitants in eight villages in the country’s mountainous west. Here chronic poverty is common and people depend on the food they are able to grow on their small plots. Farmers traditionally cultivated up to 60 different types of crops, planting and harvesting in overlapping cycles to prevent shortages and hunger. However, due to high population density in Rwanda’s hills, agricultural policies have been imposed which force farmers to modernise with new seed varieties and chemical fertilisers, to specialise in single crops and part with “archaic” agricultural practices. Dr Dawson and his UEA co-authors Dr Adrian Martin and Prof Thomas Sikor recommend that not only should green revolution policies be subject to much broader and more rigorous impact assessments, but that mitigation for poverty-exacerbating impacts should be specifically incorporated into such policies. In Rwanda, that means encouraging land access for the poorest and supporting traditional practices during a gradual and voluntary modernisation.